Hans Magnus Enzensberger takes the title for this collection of daring short essays on topical themes—politics, economics, religion, society—not from Jeremy Bentham’s famous prison but from a mid-1930s Cabinet of Curiosities opened in Germany by Karl Valentin. “There,” writes Enzensberger, “viewers could admire, along with implements of torture, all manner of abnormalities and sensational inventions.” And that’s what he offers here: a wide-ranging, surprising look at all manner of strange aspects of our contemporary world. As masterly with the essay as he is with fiction and poetry, Enzensberger here presents complicated thoughts with a light touch, tying new iterations of old ideas to their antecedents, quoting liberally from his forebears, and presenting himself unapologetically as not an expert but a seeker. Enzensberger the essayist works in the mode of Montaigne, unafraid to take his reader in unexpected directions, knowing that the process of exploration is often in itself sufficient reward for following a line of thought. ​In an era that regularly laments the death of the public intellectual, Enzensberger is the real deal: a towering figure in German literature who refuses to let his mind or work be bound by the narrow world of the poetry or fiction section. Panopticon will thrill readers daring enough to accompany him. 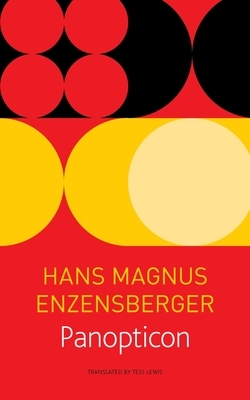 Hans Magnus Enzensberger, often considered Germany’s most important living poet, is also the editor of the book series Die Andere Bibliothek and the founder of the monthly TransAtlantik. His books include Lighter Than Air: Moral Poems and Civil Wars: From L.A. to Bosnia. Tess Lewis’s numerous translations from French and German include works by Peter Handke, Jean-Luc Benoziglio, Kalus Merz, Hans Magnus Enzensberger and Pascal Bruckner. "Enzensberger, considered by many to be one of Germany’s most important living poets, offers a series of provocative essays tied to society, religion, economics, and politics. Utilizing the abnormality of his world perspective as a poet, Enzensberger captures all that is curious and captivating in our contemporary world while at the same time searching for answers and unlocking ultimate truths." "Panopticon is a brilliant read, and while not for the faint-hearted, it embraces anyone who wants light shed on subjects that we all probably lie awake thinking about, as we attempt to muddle through life’s predicaments. The nuances of these essays’ conceits are transported from the poetry of one language into the translated other with miraculous skill by Tess Lewis, who stretches the tensility of both language and ideas."